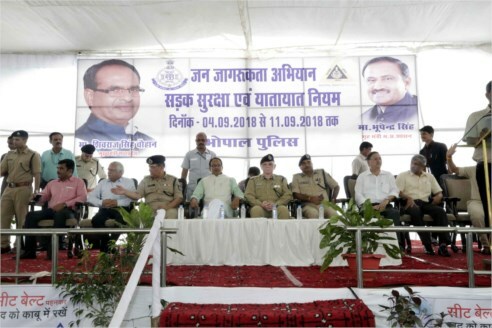 Chief Minister Shivraj Singh Chouhan launched a state-wide traffic awarenesss, road safety and traffic rules adherence campaign from Bhopal. Under the unique campaign, those who adhere to traffic rules will be honoured while violators will be counselled to follow the rules. The Chief Minister formally launched the campaign at Roshanpura Square on September 04 and honoured the riders of motorcycles who were wearing helmets and car drivers wearing their seat belts. He advised the riders who were not wearing helmets and seat belts and made them pledge to follow traffic rules. 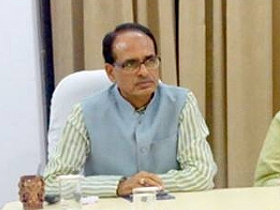 The Chief Minister praised the Traffic Police for having taken the unique initiative. He said that most of the road accidents occur due to non-adherence to traffic rules, drunken driving and people not wearing helmets. He appealed to the citizens to wear helmets while riding two-wheelers and advise their children to wear helmets and follow traffic rules too. 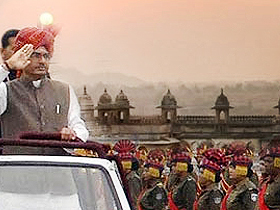 He said that the life of youth is valuable not only for their families but also for the state. Their security is must under all circumstances. It is not right to be negligent towards life.